But what aren’t you tracking? Among other things, it’s likely you aren’t tracking how much you are delegating — and that’s a story worth telling. For the first time, we recently had a client set a specific, measurable goal around delegation. It’s kind of surprising we hadn’t thought of it before. 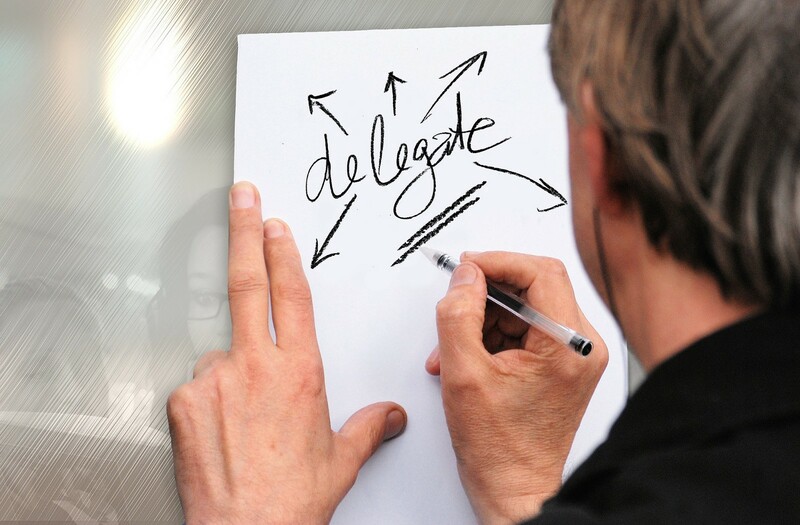 We all know, intellectually if not emotionally, that delegating increases productivity and profitability. It makes sense: if you can charge more for your expertise than it costs to pay your staff, then your focus should be on delegating as much as possible, and having your assistant boost your billable hours by coordinating your time. Our client decided to use the reporting we are already providing on a weekly basis as one easily trackable metric: determine whether she is increasing her hours delegated. She was already tracking her billable hours, the website visits that turn into sales, and her gross revenues. She knows that delegation hours are a leading indicator — more hours delegated this month means more revenue next month. All she had to do now was put it together as a concept, and her slayer created the tracker that is helping her determine her sweet spots and providing her with a mental reward for letting go of what she’s not great at in order to focus on her superpowers. Sometimes, delegating is a huge challenge. You may think, “It will only take 5 minutes for me to do it, and the same amount of time — or more — to explain it to someone else.” In most cases, we’ve found that it not only takes much more than the fabled 5 minutes, but you’re still left without having trained someone. Let’s say it does actually take 5 minutes to complete and 10 minutes to train someone else. If this is a task that is repeated on a daily basis, you can either choose to spend 25 minutes on it each week, or 10 minutes on it… once. Changing your focus from the short term to the long term makes delegating much, much easier. Add in a weekly and monthly report that shows the correlation between delegation and your revenue, and suddenly delegation feels a great deal more valuable than you’d ever considered. If you start tracking your stress levels and your joy levels at the same time (check out this great tool from Designing Your Life), you may find that this useful metric is paying you in more ways than one. When your head is all up inside your business, it can be hard to pull it out and look at it from the big picture. If you set goals annually, it can be easy to lose track of them 3 months and 6 months in. You already know that goals that are written are more likely to be attained. Let’s just take that one step further, and get it up in your face at least monthly. All of these — and more — can be placed on an easily-accessible dashboard that you can view on a regular basis to get the story of your business, allowing you to make changes and decisions quickly and effectively. If you don’t have one, get your team started on the key points that will give you the pulse of your operations if you were to view them all at once (and yes, we do that). Remember: this is the kind of thing you delegate. Not only are you better off doing that thing you do, but having someone else track and report on your progress can help you remain accountable to those goals you set in your annual meetings. Keep those dreams from drifting away by putting the right jobs in the right hands, and placing your hands firmly on the wheel.